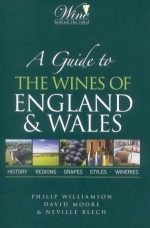 There are an increasing number of books being published on English and Welsh viticulture. The following are currently available and are worth studying for historical, or tourism material. If you have a book that should be on here, please let me know. 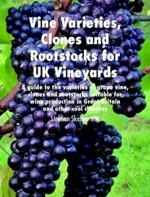 VINE VARIETIES, CLONES AND ROOTSTOCKS FOR UK VINEYARDS is "a guide to the varieties of grape vine, clones and rootstocks suitable for wine production in Great Britain and other cool climates". It contains reccomendations for vine varieties for different types of wine, clones for sparkling wine and rootstocks suitable for the UK. PLEASE NOTE: THIS BOOK HAS THE SAME CONTENT AS CHAPTER FOUR OF "Wine Growing in Great Britain". 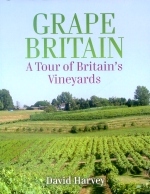 Guides to the vineyards of the United Kingdom appear, like buses, at irregular intervals, even, as of late, more than one a year. Stephen Skelton is the one regular producer of an updated encyclopedia of the subject- this is effectively the 4th edition, and all have new facets. In the 2010 edition, Stephen has managed to extract the database of UK vineyards from a reluctant DEFRA- the Freedom of Information Act has its benefits, and has made use of it to provide as full a survey as is possible. It covers vineyards from the Isles of Scilly to the Island of Lewis, and from Mersea to the centre of Eire. The latter region is the subject of an entirely new chapter that covers the successes and failures of trying to establish the vine in the emerald isle. Sadly, the latter examples are the more numerous and damp conditions wreak havoc with the crops. What is especially interesting is the section on available vines in the UK, and Stephen’s comments on their suitability. The statistics of hectareages are especially fascinating. In the first edition, Muller Thurgau (146), Reichensteiner(62) and Seyval Blanc (53) were the three main vines grown. At that time, there were 4.6ha of Pinot Noir. In 208, Muller was down to 61ha. Pinot Noir was top with 218ha and Chardonnay to 201ha . A demonstration of how ‘mainstream’ the UK vineyards industry has become. A very good read and well worth the £22.95. Available online at www.lulu.com and at www.englishwine.com from which site it can be ordered. Wine Growing in Great Britain is an A to Z of growing grapes for wine production in the UK and other cool climates. For anyone contemplating planting and establishing a vineyard and for those already growing vines on a small scale who perhaps wish to expand their vineyards and improve their winegrowing skills, it will be an invaluable guide. It will also be of interest to students of viticulture and wine studies. 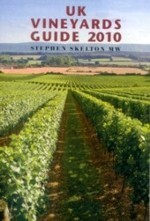 The book covers not only the viticultural tasks involved in setting up, establishing and managing a vineyard, but also, uniquely, covers the financial aspects of cool climate wine growing: the costs of land, vineyard establishment and management, and the income from both grape and wine sales. 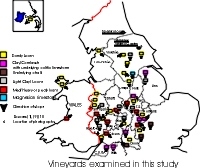 A survey of the Vineyard Terroir, grapes and growing locations and in the north of England and Wales. A geological and climatic guide to the areas in viticulture through the ages. The last section is devoted to ideas as to where future vineyards could be sited. 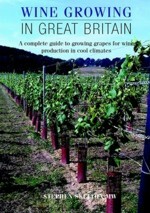 Excellent book on growing grapes and making wine on a small scale. Liz Sharples School of Leisure and Food Management, Sheffield Hallam University, UK. Niki Macionis University of Canberra, Centre for Tourism and Leisure Policy Research.